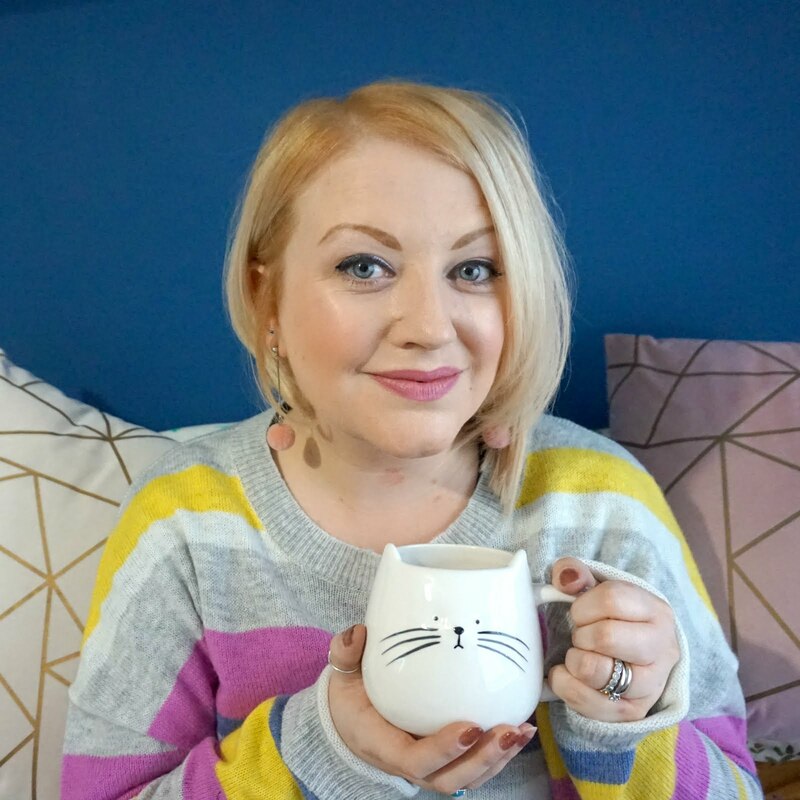 I'm a big animal lover - big or small, furry or squishy - and so is Ethan which is why in his short life, we have been to farms, zoos, safari parks, lakes and anywhere there is wildlife to see and enjoy. 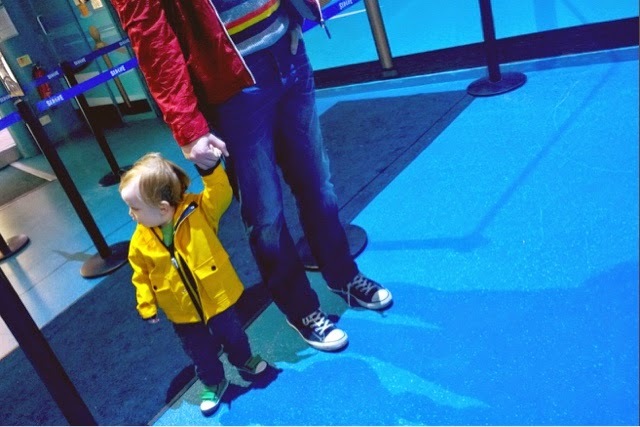 It's also why Ethan has been to Sea Life Centre Birmingham four times already - he just loves to see all the strange and wonderful creatures. He actually went the past two weekends in a row, once with us and once with his Nanny and Grandad, but he's young and it wouldn't matter to him anyway - he just wants to see the fish! 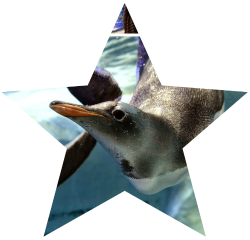 We went to see the penguins when they first arrived and this time around, the new attraction, or star attraction to be quite specific, is Sea Stars - home to hundreds of starfish. 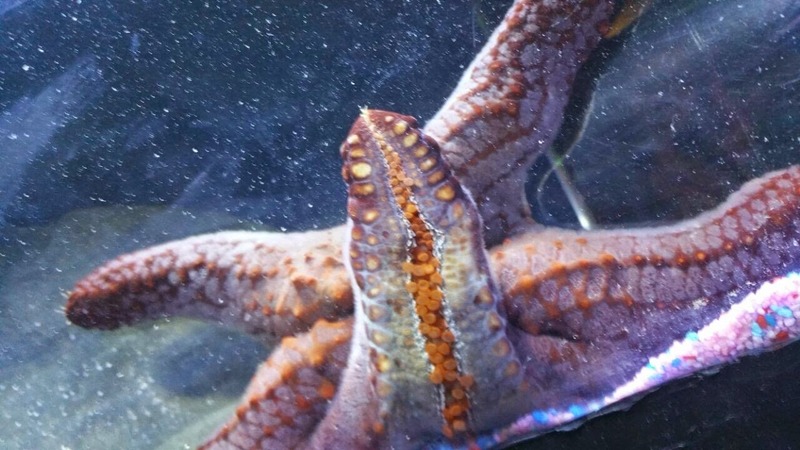 These weird and wonderful creatures are quite something to behold, from the Red Knobbed Starfish, which is so brightly coloured, it almost doesn't look like a real living thing, to the Giant Sun Star (pictured below), which can grow up to a metre in diameter and have as many as 24 legs. 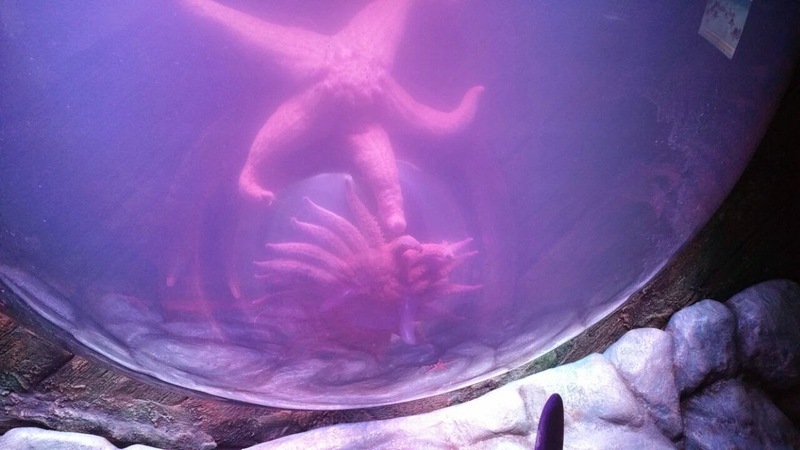 What's really great about this feature though is how you can really get up close with these sea creatures, with viewing domes where your little ones and you (if you squat down) can pop their head under for a brilliant view of the starfish. Yes, we really took this photo! They are quite incredible to see and all the children were amazed, including Ethan. 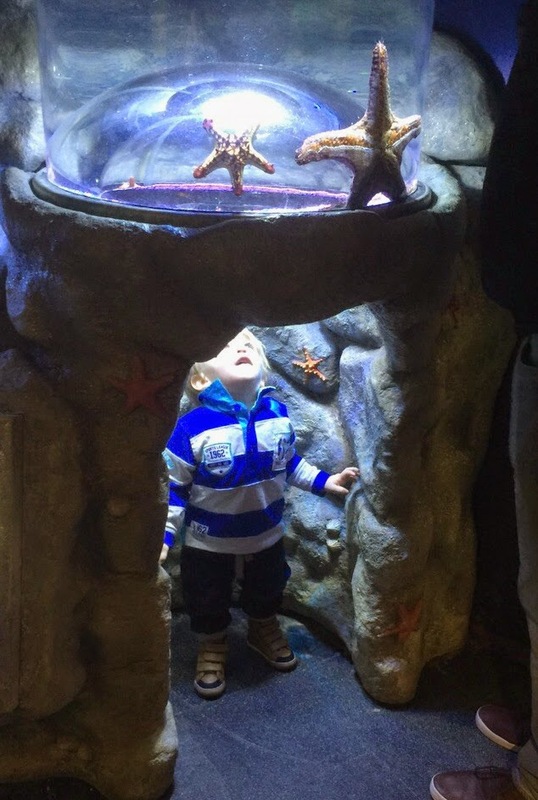 What's great about the Sea Life Centre is how there's always something new to see and interactive elements to keep it relevant and exciting for families. 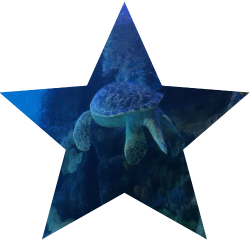 So, to carry on the star theme, what are our top five stars of the Sea Life show? As you can see, the starfish are quite spectacular and being able to see them so close up, and even touch them in the rock pool, is a really special experience. They're the first and last animals you see when you visit Sea Life Centre Birmingham and they are absolutely fascinating to watch. 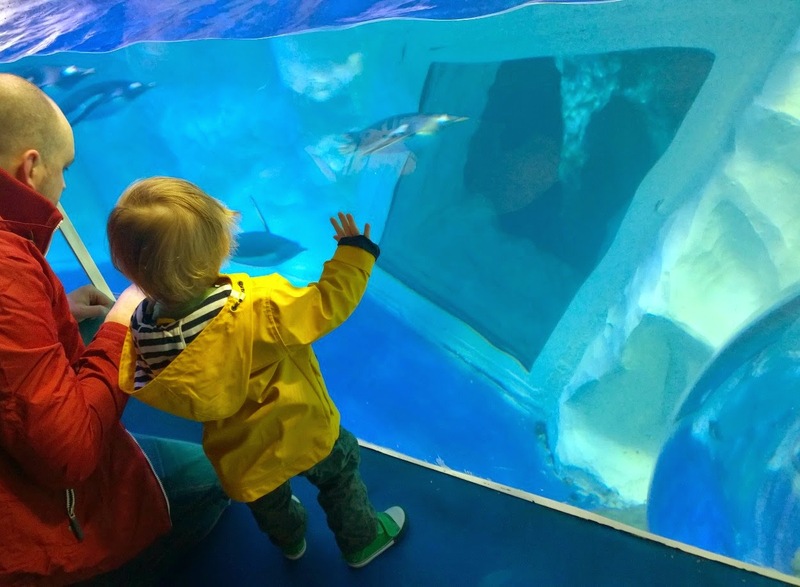 The viewing area gives you the chance to see the penguins up close as they dive in and out of the water and Ethan always presses his nose up to the glass to have a good look. Always my favourite part, the tunnel you walk through so it feels like you're under the sea is a real highlight. There's two giant turtles to spot and lots of sharks and fish too, in every direction. 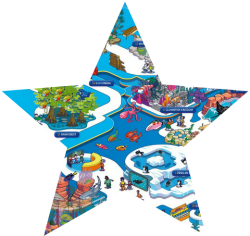 The Sea Life Centre has lots of information points to you can learn a lot during your visit, in an easily accessible way, plus the Dive Station points give your children the chance to really absorb the information, collecting stamps and winning a medal for their efforts, which is great encouragement. There's lots of talks to go and listen to during the day and there's always a member of staff nearby who can tell you more about the different displays. 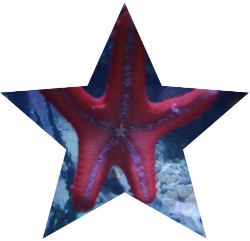 For instance, I learnt from a Sea Life expert during our last visit that if a starfish loses an arm, it can grow into another starfish. How weird / cool is that? 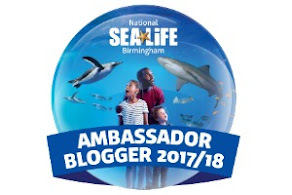 We had a great time again at Sea Life Birmingham and really enjoyed the new Sea Stars attraction - perfect if you're looking for something to do during these Easter holidays or any wet weekend for sure. Find out more and buy tickets online here. 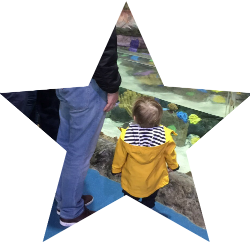 * Thank you to Sea Life Centre Birmingham for inviting us to see the Sea Stars.